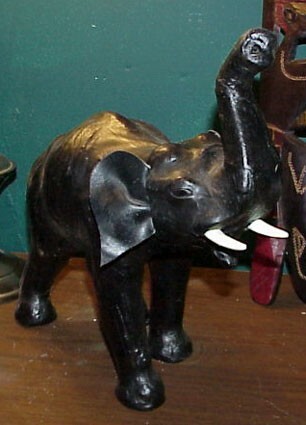 An 11" tall elephant done in black leather. 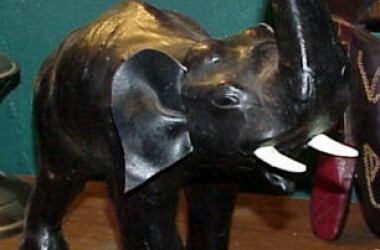 Ivory look-alike tusks. A reproduction; not an original, but nicely done.